Pan Seared Salmon = Pan Seared Amazing. 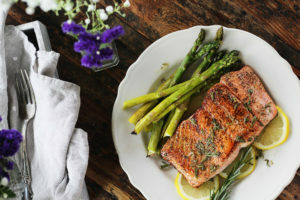 If you love easy but flavorful recipes that take just a few minutes to prepare, Pan Seared Salmon with Herbed Butter Sauce should be at the top of your list. I’m talking about thick, wild king salmon filets seared in rich butter to perfect medium rare so they are flaky on the outside and super rich on the inside. 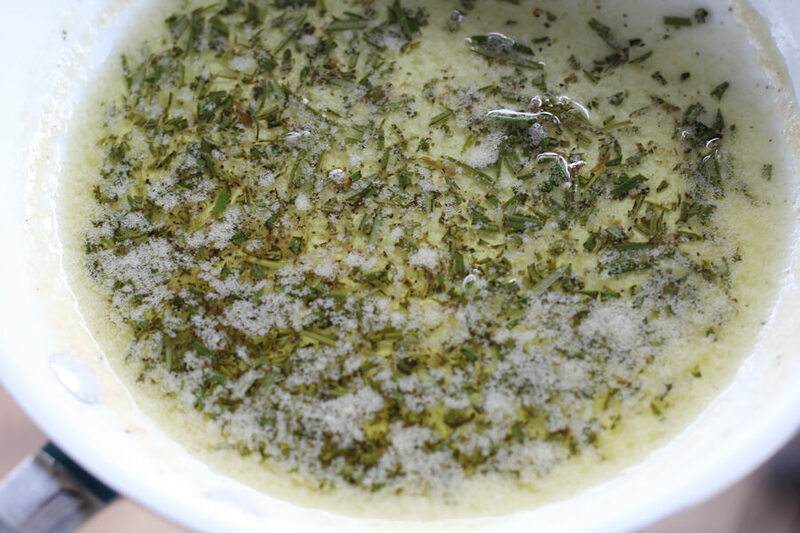 Then we top it all off with a simple rosemary butter sauce with hints of lemon. So…who is hungry? My, my, my doesn’t that sound fancy? It totally isn’t. I mean, yes, it is, but fancy isn’t the same thing as hard to make. I would straight up order this in a restaurant. You know what, I’ve ordered similar dishes to this at a restaurant, and I’m going to raise them 20. This is the absolute best salmon meal I have ever eaten. In my life. Well, maybe other than the fresh salmon I caught and ate when I was in Alaska back in the 1990’s. 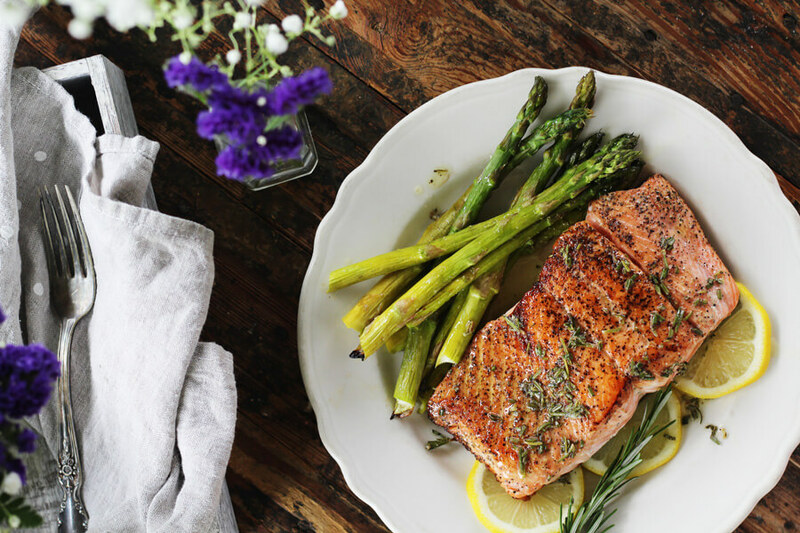 But outside of that, this is the ultimate pan seared salmon recipe, and we’re going to show + tell how to create this date night worthy recipe at home. The most important thing is selecting fresh, wild caught king salmon. Wild salmon is seasonal. That means buying it at the peak of its season ensures the freshest fish and the widest variety. King salmon, also known as chinook salmon, is in my opinion the best tasting of all the salmon. It holds up really well to pan searing and has a high fat content. It has a very rich enjoyable flavor that I love. We picked ours up from the Fresh Seafood Department at The Fresh Market. The selection of salmon is great, plus the staff can help you pick out exactly what type of salmon you need for what you are cooking. 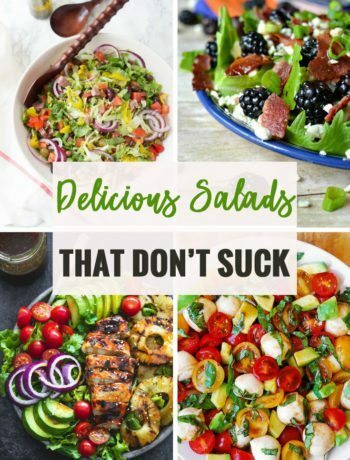 Click here for more cooking tips and ideas from The Fresh Market. I picked out two large, thick wild caught king salmon filets. Yes, I am totally trying to impress my husband with this recipe. They also had smoked salmon, sockeye and coho salmon varieties available. 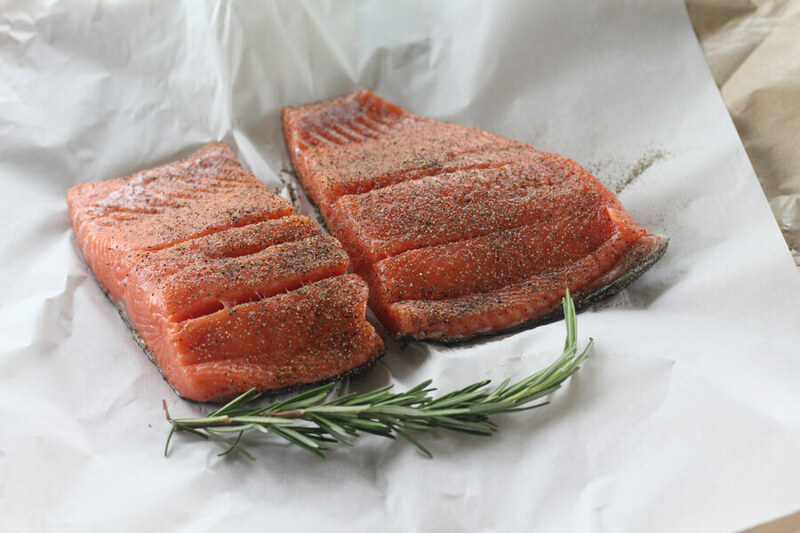 King Salmon – King Salmon has rich, red flesh that’s firm and vibrant. Its high oil content gives it a delicious, distinct flavor. When cooked, King Salmon tastes buttery and retains its moisture. We recommend serving it grilled, roasted or pan-seared. Sockeye Salmon – This fish has deep, firm red flesh that retains its hue throughout the cooking process. 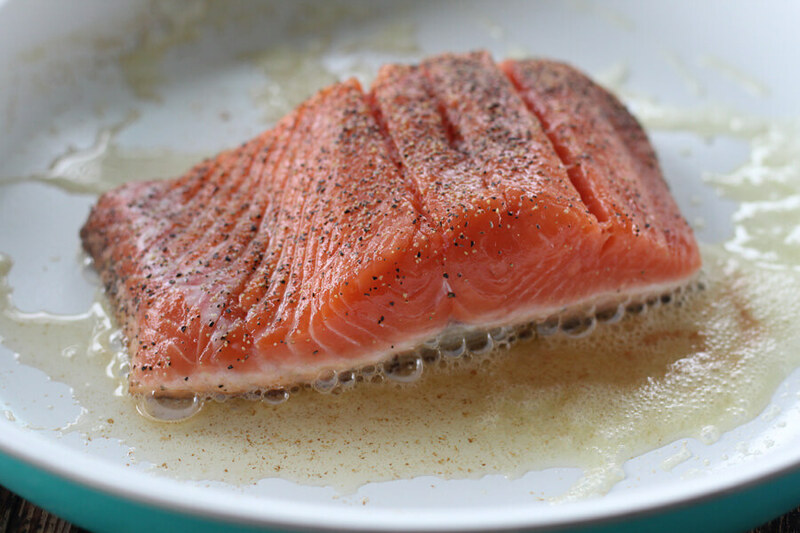 Its medium oil content gives it rich flavor that’s only slightly milder than king salmon. Sockeye Salmon retains its moisture when cooked. Try it grilled or smoked for the best flavor and texture. Coho Salmon – Orange-red in color, Coho Salmon is one of the milder varieties of salmon due to its lower oil content. Its texture is medium-firm. These fillets are quite versatile and are best enjoyed grilled on wood planks, steamed, poached or even sautéed. Two wild caught king salmon filets – All bones removed, skin on. Ours weighed about 0.75 pounds each. 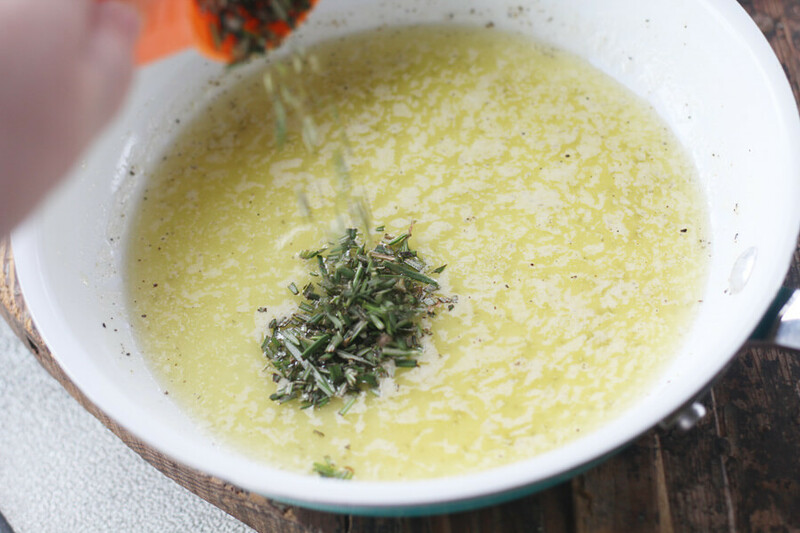 Fresh chopped rosemary – You can also use dill or basil, or a combination of all three. 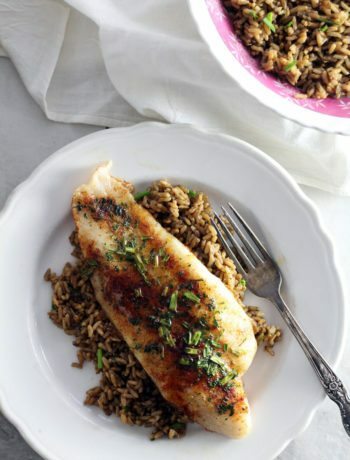 For this pan seared salmon recipe, I VERY HIGHLY recommend a non-stick skillet like the one shown. If you don’t have a non-stick skillet, you’ll be ok as long as you follow the directions. Melt a tablespoon or so of butter in a skillet over medium high heat. Wait for the butter to start bubbling, then place one piece of salmon in the skillet SKIN SIDE DOWN. Let it sizzle and cook for about 5 minutes until the skin is well browned. While it is cooking, don’t move it around or try to flip it. You want the skin to get nice and crisp. Then, carefully slip the salmon and cook for another 3 minutes. Add a little more butter if you need to. Watch the heat so the butter doesn’t burn. That’s how you cook expertly prepared Pan Seared Salmon. As long as you have fresh, high quality salmon, that’s all you need. Well, that and our easy herbed butter sauce. When you have cooked the salmon, transfer it to a dish and keep it warm. Wipe out the skillet (you don’t want any burnt bitter butter bits for this part). Then on LOW heat, melt 1/4 cup of real butter. Don’t use margarine or butter substitute. I used the best quality butter I could find at The Fresh Market for this recipe. There is no point in getting a great cut of salmon only to top it with cheap butter. Swirl in lemon juice, a pinch of salt and a pinch of black pepper. Then stir in fresh chopped rosemary. Then drizzle each salmon filet with the rosemary-lemon butter sauce. I wish you could smell this right now. 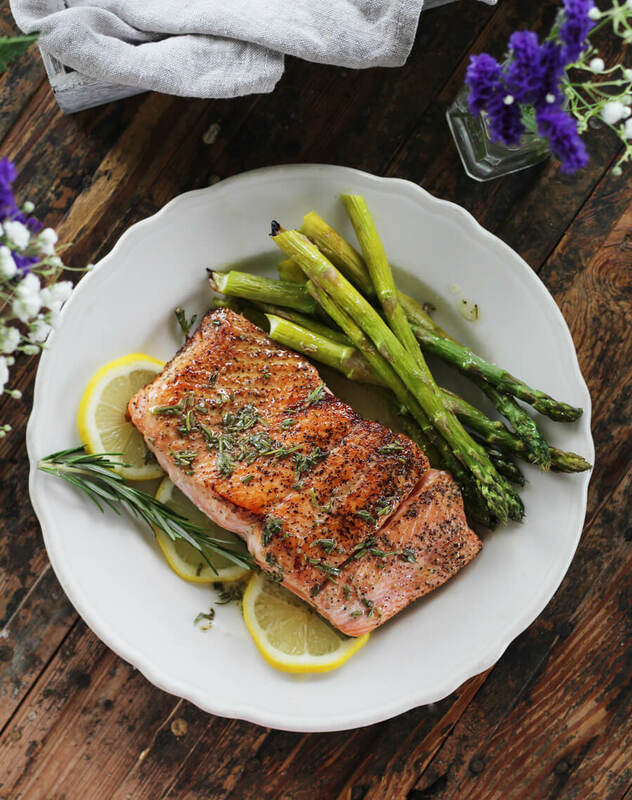 The fragrant rosemary with the golden butter really brings out the fresh flavor of the wild king salmon. 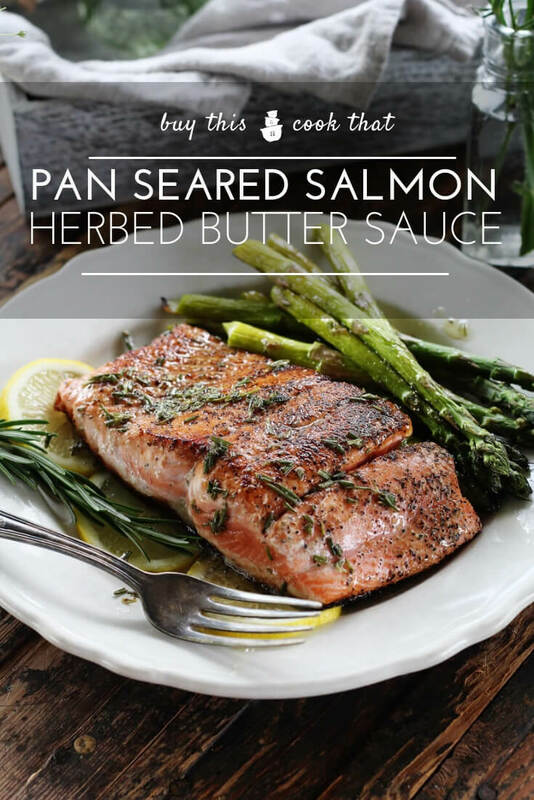 I can’t wait for you to try this easy recipe for Pan Seared Salmon and Herbed Butter Sauce. While we were at The Fresh Market, we also picked out fresh flowers for the table to make our meal even more special. 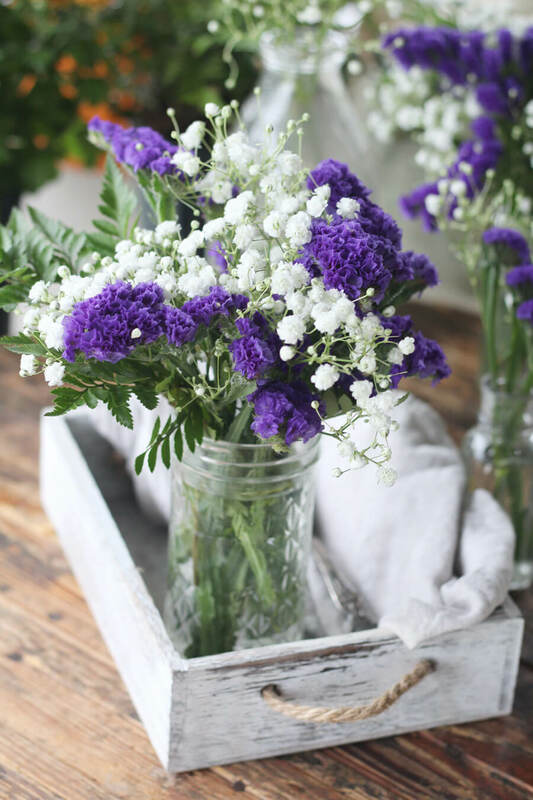 The selection of flowers and seasonal items is always the best. I picked up a few fall items for our home, too. 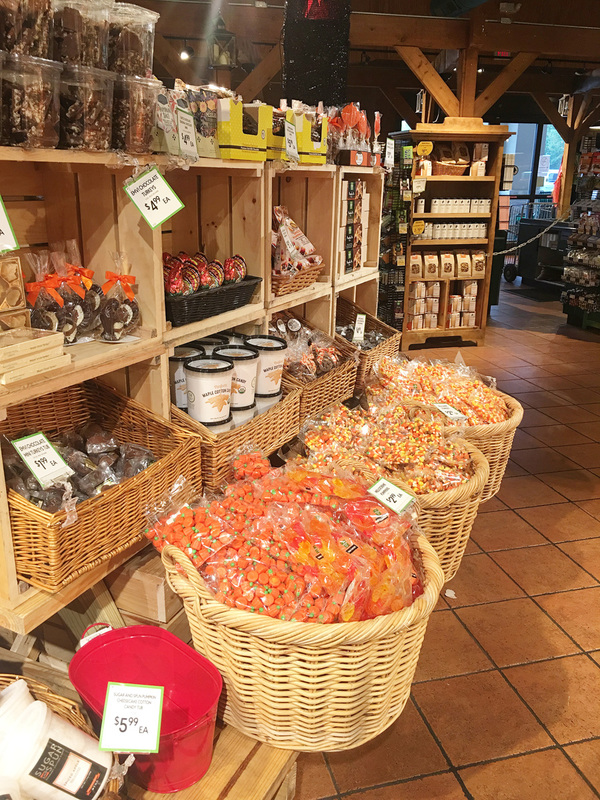 The Fresh Market carries a wide variety of sauces, spices, wine, candies and chocolate that I love. The Fresh Market is the place I go to when I want to create an amazing meal. They always carry items that I can’t find anywhere else, all in one place. It is the grocery destination for a foodie adventure. They also carry a great selection of wine and items needed for entertaining. This is truly a special + simple way to prepare salmon that we know you are going to love. You can mix and match the flavor combinations by changing the seasoning on the salmon and the herbs used in the butter. I’m thinking next time we will go with a citrus-honey ginger butter. 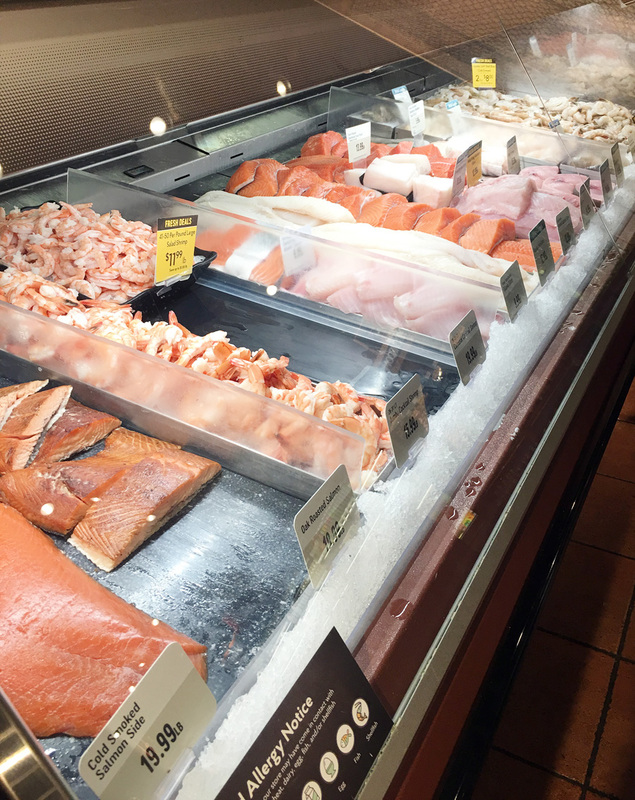 During your next visit to The Fresh Market, be sure to check out their selection of premium quality seafood like Wild Caught Salmon. 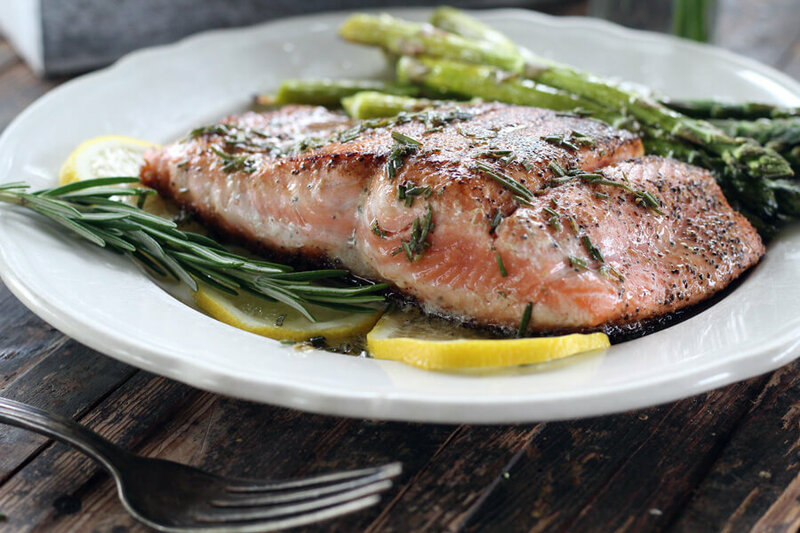 This easy and elegant recipe for Pan Seared Salmon is prepared with only 6 ingredients. 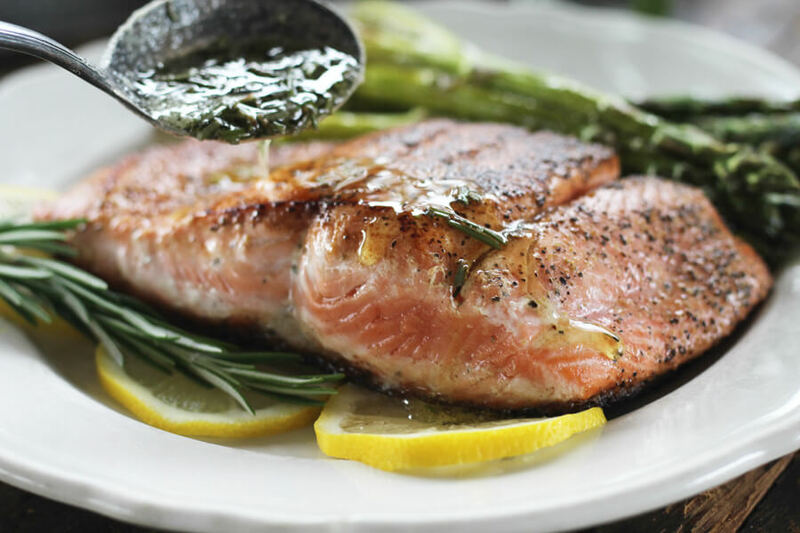 A lemon-rosemary herbed butter sauce brings out the natural, rich flavor of wild king salmon. Sprinkle the flesh side of the salmon steaks with a pinch of salt and pepper. Heat one or two tablespoons of butter in a good non-stick skillet over medium high heat. When the pan is hot and the butter starts to foam, place the salmon in the skillet SKIN SIDE DOWN. Sear for 5 - 7 minutes. Do not move it around. Carefully flip the salmon to FLESH SIDE DOWN and sear for an additional 3 minutes. Transfer to a plate, cover and keep warm while preparing the butter sauce. If you have smaller pieces of salmon, you can cook more than one at a time. Add additional butter to the skillet as needed during the searing process. Wipe the skillet clean between each batch to prevent the butter from burning and becoming bitter. In the same skillet (wiped clean), melt 1/4 cup of butter over LOW heat. Gently swirl the butter until it is lightly golden and begins to foam. Whisk in the fresh lemon juice, rosemary, salt and pepper. Swirl and cook on LOW 4 - 5 minutes until the butter is golden. 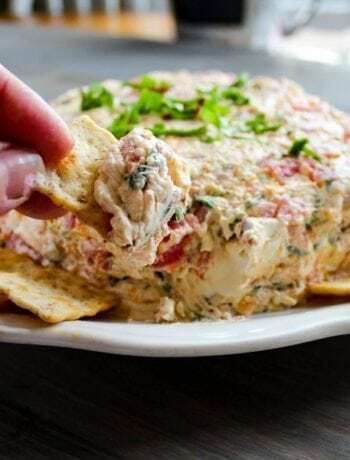 Serve hot drizzled over the prepared salmon. Medium rare is recommended serving.